The afterglow of another Super Bowl always gets me to thinking about how nothing brings communities together quite like team sports. There are numerous psychological and sociological benefits to participation in team sports, just ask Forbes. Are you looking to join a team and meet some incredible new people? You’re in luck! 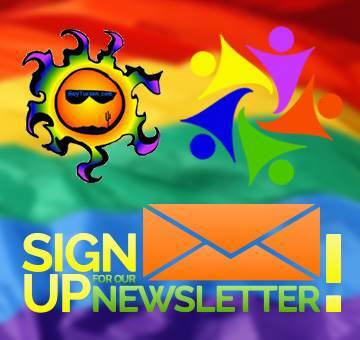 A pioneering Tucson gay kickball league is looking for new talent! What is Gay Kickball Tucson and How Do I Join? 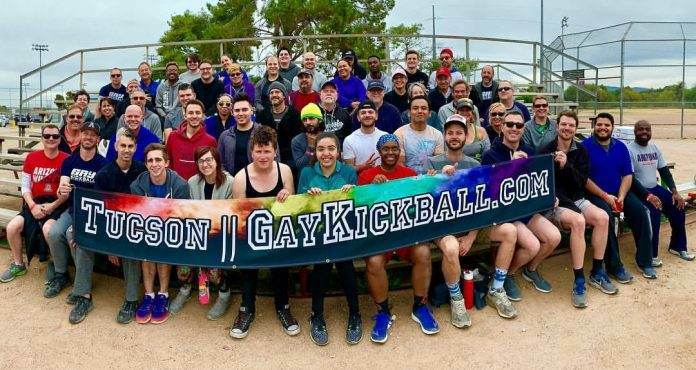 Gay Kickball Tucson is an LGBTQ & Ally community-based sports league that takes pride in providing an organized, competitive and fun experience for all players. The league values each player for who they are and what they bring to the league’s community. Last year was the very first season for Gay Kickball Tucson, and it was a huge success. Just look at the turnout! Gay Kickball Tucson’s next season begins in Spring 2019! Registration is open and new players are welcome to join. 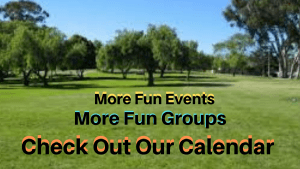 Join today to make new friends, have fun and play kick ball. There are lots of ways to join! You can sign up solo and make lots of great new friends. You can sign up as a small group with you and a few friends to make sure you’re on the same team. Finally, you can sign up as a captain and form your own team, if you’re more the type that likes to be in control. Go to GayKickball.com/tucson.html to sign up today! The new season starts on March 16th, 2019, so the sooner you join a team, the better! Have a great time and tell them GayTucson sent you!